During the summer season we don’t get too long to wait between big action movies and R-rated comedies. As such, this weekend we have the return of Mr. Ethan Hunt and a return for the Griswold family to the ever-elusive Walley World. We’ve got Mission: Impossible - Rogue Nation and Vacation hitting theaters. Look who’s back. Back again. Ethan’s back, with his friends. If you told a then-senior in high school Doug Norrie when he was seeing the first Mission: Impossible film, with all it’s mask-tearing-off glory and double-crossing galore, that the franchise would still be kicking twenty years later, I would have thought you were crazy and wondered why you were talking to me at all. But the series keeps on chugging, and it looks like it’s in better shape than ever. There’s not much else to say except that this movie looks freaking awesome. Even the trailer is a high-octane tour de force full of highwire acts, explosions and whatever else floats your action film boat. Early reviews for the newest in series continue a nice trajectory for the franchise. Mission: Impossible’s one, two and three (61%, 57% and 70% respectively) set a foundation while Ghost Protocol (93%) really upped the ante. This one’s sitting at a cool 96% after more than twenty-five reviews. That’s rarified action air for a film franchise that seems to only get better the more Tommy Boy ages. 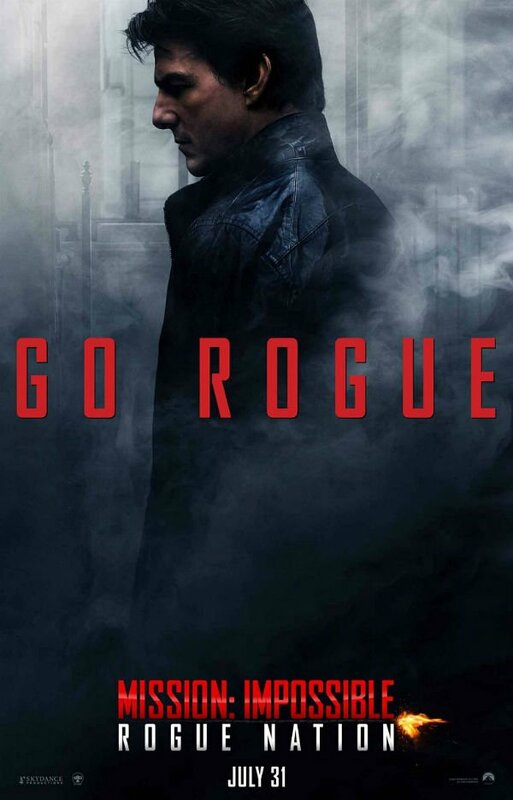 Cinema Blend’s own Sean O’Connell had nothing but immense praise for this film in his review, where he handed out 4.5 stars and praised, among other things, the intense action sequences. It’s just the kind of thing you want out of a summer popcorn movie. Lots of boom boom with just enough story and acting chops to round out the rest of it. Director Christopher McQuarrie has a ton of very solid writing credits and his last directorial work came with Jack Reacher (62%), another Cruise-led film. Though he does seem to know how to write for Cruise with other films like Edge of Tomorrow (90%) and Valkyrie (62%) as a couple of other times he’s had Tom on the brain. Mission: Impossible Rogue Nation just looks fun, and I suspect it crushes the box office. It’s hitting at a perfect time, just like the MI crew. They know when to show up, do their business and get the job done. As a dude who is one month into a four-and-a-half month cross country trip right now, I think I know a little something about the Great American Family road trip. We’ve been free-wheeling and fancy free for over a month now, and whether it’s my four year old insisting on the 1,000th listen to an old Indigo Girls album, or letting us know she needs a bathroom break 1.5 seconds after passing the convenient rest area, I know what it means to pack up and head out on the open road. We’re no Griswolds, though, and from the look of the new film it seems like that’s a good thing. 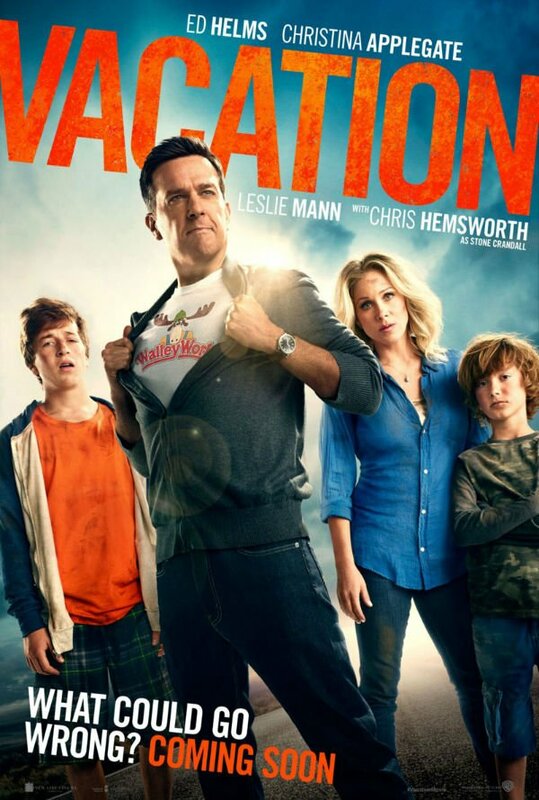 The writing team behind the Vacation reboot Jonathan Goldstein and John Francis Daley) have some wins on their resume, having scripted titles like Horrible Bosses (69%) and Cloudy With a Chance of Meatballs 2 (70%). Both of the films hit comedically and worked for totally different age groups. That, in general, is a good sign. But then there are flicks like Horrible Bosses 2 (35%) and The Incredible Burt Wonderstone (36%) that missed the mark by a considerable margin. Now you can make the case that the Horrible Bosses was a bad idea from the get go, grabbing at straws off a successful first run. But the flicks are still on the resumes and those count against this pair. I suspect their latest falls somewhere in the middle. It’s damn tough to take a cult-ish classic like National Lampoon’s Vacation (the National Lampoon’s conspicuously absent this time around) and rework it to any semblance of modern day tale. The beauty behind the Vacation movies was Chevy Chase’s hapless eternal sappiness, and family-above-all corniness that carried the first few pictures. Putting Ed Helms as the son, working to recreate that failed first trip feels forced. Though the cast is strong, it just seems as if everyone is trying a little too hard. With no reviews out for the movie, I tend to think we are headed toward some not-so-nice things to say about this newest trip to Walley World. Some of the jokes will land. But on the whole, we’ve seen this trip once and I’m not totally sure we needed to see it again. My prediction for Chris Columbus’ Pixels (Predicted: 20% Actual: 19%) was nearly dead on the crappy money. There were a lot of negative things to say about this flick. But CB’s Mike Reyes was clearly in the vast minority on Pixels in his review. While the rest of the industry did a steady pan job, he came in with 4 stars, praising it as a "fun time at the movies." This review is incredibly divergent than most the rest of the industry. On the whole, critics weren’t kind and my prediction was right in line with the Tomatometer score. Meanwhile, Paper Towns (Predicted: 70% Actual: 58%) fell just out of range. It’s a shame - two more lousy points and I clean sweep the week. CB’s Nick Romano helped the cause with a three star review, saying the film worked well for the most part and did a good job of stripping away some could-be cliche’d character. Though he thought the message missed by a hair. You know I’m a sucker for these coming of age films, so even with a 0% I’d probably get roped in. Finally, Southpaw (Predicted: 60% Actual: 58%) was an almost direct hit. Many critics felt the same way as Eric Eisenberg in his review, in so much as Jake Gyllenhaal is great but the story as a whole suffered from tedium and cliches. Such is the boxing movie I suppose, a genre that’s been beaten to death over the years without the sport making any real great strides. Next time around we’ve got a big one with Fantastic Four, Ricki and the Flash, The Gift and Shaun the Sheep Movie. It’s gonna be a Rotten Week!